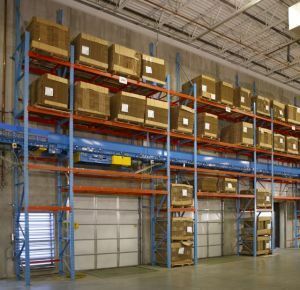 You can find Mobile Pallet Rack for warehouse, and Industrial Storage Applications from NationWide Shelving. We have what you need. 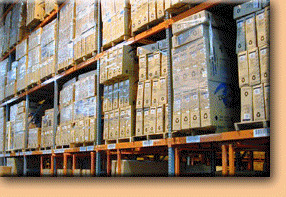 Our business is to weigh your storage and retrieval goals, and deliver Mobile Pallet Rack System to compliment them installed by professionals. Mobile Pallet Rack is designed to provide highly efficient storage and retrieval of countless parts, pallets, inventory, distribution center products, automotive parts and inventory, assembly parts and inventory and most types of storage needs. Even large retailers have found Mobile Pallet Rack a good looking and inexpensive way to display stock for customer purchase. 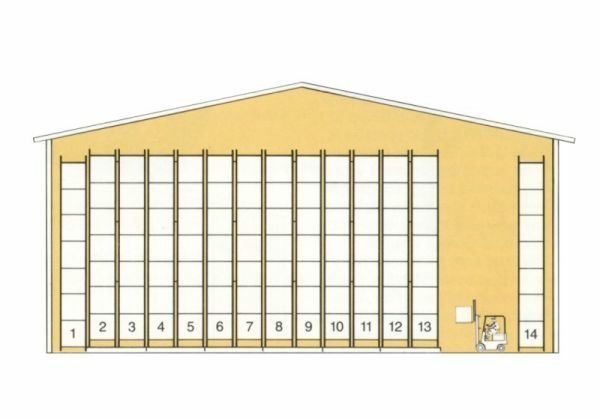 From a few beams to large installations connected to complex automated storage and delivery systems we can help you determine what you need. Our highly trained designers will insure you get the right rack and the most possible storage. From simple to complex solutions for all forms of shelving, including sophisticated multi-level and modular applications. Only a few manufacturers produce and support mobile pallet rack. Please phone us at 800-326-4403 for further information. Penco,Interlake Mobile Pallet Rack, Frazier, Bulldog Rack, Durham,Nashville Wire, Jaken, Mecalux, Ohio Rack, Rid-u-Rack, Steelking, Tier-Rack, Artco (Tube) Mobile Pallet Rack,Buckley Mobile Pallet Rack, Burtman, Structural Mobile Pallet Rack, 'Altrui Mobile Pallet Rack, Dexion Mobile Pallet Rack, EMI Mobile Pallet Rack, Frick Gallagher Mobile Pallet Rack, Husky Crashguard Mobile Pallet Rack, Inca Mobile Pallet Rack, Lok-Rack Mobile Pallet Rack, Palmer Schile Mobile Pallet Rack, Sammons/Bloom Mobile Pallet Rack, Unarco II Mobile Pallet Rack, Keystone Style Mobile Pallet Rack, T-Bolt (Unarco) Mobile Pallet Rack, Speedrack Mobile Pallet Rack, Paltier Mobile Pallet Rack, Structural Mobile Pallet Rack, Sturdi-Bilt Mobile Pallet Rack, Ridg-U-Rack Mobile Pallet Rack, Webb/Slide-N-Lock, Hiline Mobile Pallet Rack, Penco Mobile Pallet Rack and other products make one full line! need a brand you dont see listed please phone in to see if we carry it. 800-326-4403. The Aisle-Saver HD10 Mobile Pallet Rack Storage System is a mechanical assist compact warehouse storage system designed to provide a cost-effective alternative to traditional pallet racking. 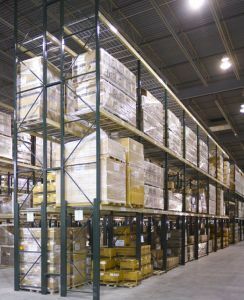 Accessible by hand or by fork truck, the Aisle-Saver HD10 Mobile Pallet Rack Storage System makes static aisles dynamic. Capable of compressing multiple rows of pallet racking and featuring a 10,000lb load capacity per rack, Aisle-Saver HD10 is able to effectively double warehouse storage capacities. The Aisle-Saver HD10 eliminates the need for costly expansions or the loss of production space due to increased storage demands. The Aisle-Saver HD10 Mobile Pallet Rack Storage System is a mechanical assist compact warehouse storage system designed to provide a cost- effective alternative to traditional pallet racking. Accessible by hand or by fork truck, the Aisle-Saver HD10 Mobile Pallet Rack Storage System makes static aisles dynamic. Capable of compressing multiple rows of pallet racking and featuring a 10,000lb load capacity per rack, Aisle-Saver HD10 is able to effectively double warehouse storage capacities. Loaded with performance enhancing features, the Aisle-Saver HD10 Mobile Pallet Rack Storage System can be configured to meet the precise storage and material handling needs of your warehouse operations. System sizes and carriages are designed to meet your facility's unique requirements. The Aisle-Saver HD10 Mobile Pallet Rack Storage System features Aisle-Saver's proven Mechanical Assist system for easy and reliable performance and durability. Aisle-Saver HD10 carriages, made from rugged 10 gauge steel, are the strongest and best built in the industry. Drive shafts run down the carriage center, powering wheels on both sides of the carriage. The Aisle-Saver HD10 Mobile Pallet Rack Storage System features a unique belt-drive system that reduces noise and friction, increasing longevity and eliminating the maintenance and cleaning commonly associated with traditional chain-drive systems.